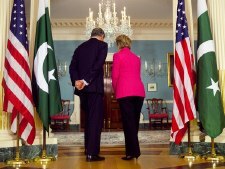 I conducted an interview with Secretary of State Hillary Clinton in Washington, DC about Pakistan and the United States’ relations with the Muslim world, originally published on my blog Watandost. 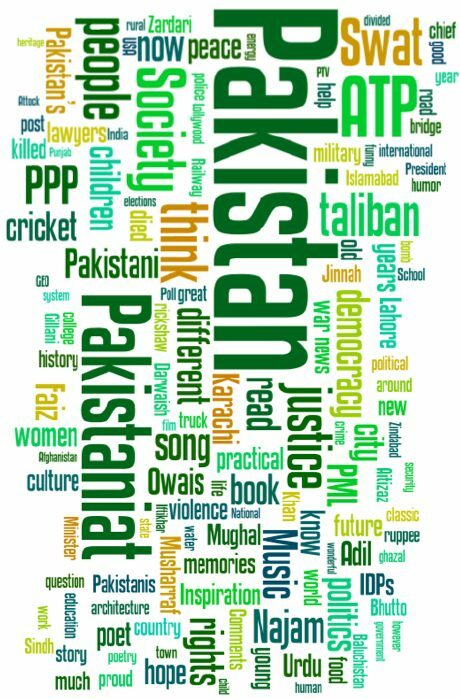 Hassan Abbas: During your recent visit to Pakistan, you won the hearts of many through your courageous outreach — visiting Badshahi mosque, participating in television talk shows, interacting with students at country’s premier educational institution Government College Lahore, and most importantly going to the mausoleum of Mohammad Iqbal, the poet-philosopher who gave the idea of Pakistan. Even those who are critical of the U.S. policy were appreciative of these gestures and it served an important message to those Pakistani politicians also who are not in touch with masses. And I thought that was very promising, because the terrorist threat to Pakistanis growing and it’s intense and it can only be defeated by the Pakistani people coming together and rejecting it, in the first instance, trying to present a different narrative than the one that the terrorists are putting forth, using military force where they must, but mostly by developing the democratic institutions, by developing the country, clearly demonstrating that Pakistan has no room for those who want to tear down, because the Pakistan people want to build. Hassan Abbas: During the said trip you also visited police offices in Islamabad to pay tribute to the sacrifices rendered by police officials in the fight against extremism. You are the first and so far the only foreign leader visiting Pakistan who thought of this. It is becoming clear in Pakistan that the country will not be able to win this battle especially in areas like Punjab and Karachi unless its law enforcement and police forces are reformed and upgraded. I must confess that this topic is of special interest to me as before my academic career in the U.S., I was a police official in Pakistan. Also Pakistan army cannot be expected to fight everywhere in the country. In this context, will the U.S. be supporting police and law enforcement reform agenda in Pakistan? There are a number of Indian Muslims who are very involved in interfaith and other outreach activities. I do a lot of work with the Bangladeshi community, which is not as involved as the Pakistani community has been in academia or in professional activity, but is really at the grassroots in a lot of countries — or a lot of cities in our country. So I think those are some examples of what we’re working on. Do you think there might be some possibility in future that E.U., China, and United States altogether can take an initiative to bring Pakistan and India together and help them resolve their differences. We continuously hear that peace in the Af-Pak region is considered the most critical issue for the global security concerns. A global approach hence can be relevant. Do you think such an international effort can work? More commentary and thoughts on my blog Watandost. The US Secretary of State Hillary Clinton’s botched attempts at public diplomacy drew sharp rebuke from an American in Pakistan. 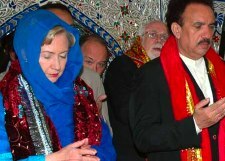 Todd Shea, the head of Comprehensive Disaster Response Services in Pakistan, criticized Clinton’s statements during her recent visit as “insensitive, corrosive, arrogant and flat out wrong”. The CDRS is an NGO on the ground in Kashmir and it has been working to provide a field medical center and healthcare services to the earthquake victims in Azad Kashmir since 2005. Like Greg Mortenson’s work on building schools, the work done by Todd Shea’s relief efforts have engendered positive feelings among Pakistanis toward the Americans. In effect, Greg and Todd have been attempting to fill the vacuum left by the US State Department in practical public diplomacy on the ground in Pakistan. 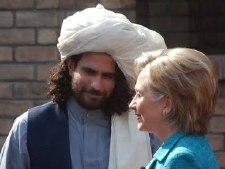 After Hillary’s visit, I believe the US would be better off in Pakistan with more of Greg and Todd than Hillary’s tough talk to win hearts and minds of the people in Afghanistan and Pakistan. Great Interview! Keep up great work. And, to the critics – what are you guys really mad about? I mean, what exactly in this interview inflamed you? Did it bother you, that this interview didn’t flare up any conspiracy theories, dogmatic utopia, or apologetic nonsense? Sehar Tauqeer has captured the essence, and explained really well my sentiments as well. By open dialogue and rational communication – only then, we can expect to resolve complex problems. long gone days are still being bragged upon? What is all this. We should urge the media to keep us in the present rather than in the past. Lets all unite and fight extremism and also ask the media to leave bragging about things long gone and talk on the current situation. Kerry-Lugar Bill: Can It Bridge the Trust Deficit?